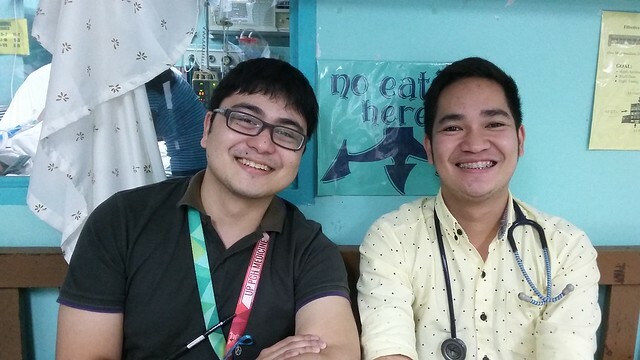 He is my OPD partner, and he's so good with patients he always gets live crabs as pasalubong. He has them cooked at a nearby store, and he invites us when the crustaceans, marinated in butter and salt, are ready for the munching. His patients love him. He plays excellent badminton. His drop shots are precise, and he makes me chase the shuttlecock all over the court. He has great handwriting. He can never be faulted for not having mastered cursive writing. He has a big heart, full of compassion and passion. He is like the Dane Sacdalan of our batch—his declaration, to which we all heartily agree. He has the brain of a genius. He tops our monthly exams regularly. We call him a "Topper-ware." He will treat me to lunch because of this tribute. HAHAHAHAHAHAHAHAHA PARANG ANG SARAP I REPOST SA FB.LOL!! !Thanks, brother! Go ahead, pero prime time na ba? 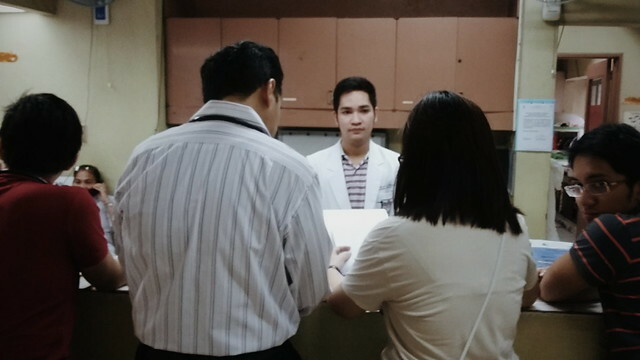 Drop by the hospital, AAce.